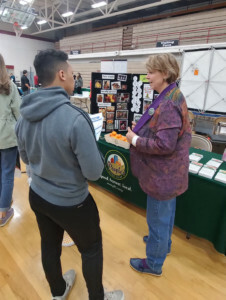 Linda from People’s Co-op speaks with a student. We are very excited to host the Future Center Fairs at Logan and Central High Schools. Nearly 1000 students participated, with 55 businesses and community organizations represented.